Below you can view all the homes for sale in the Platte Park subdivision located in Denver Colorado. Listings in Platte Park are updated daily from data we receive from the Denver multiple listing service. To learn more about any of these homes or to receive custom notifications when a new property is listed for sale in Platte Park, give us a call at 720-729-2320. Feel free to call with questions. MLS#9474969. Steck Real Estate. You won't want to miss this one! 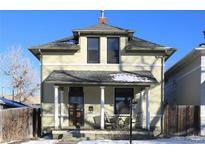 MLS#7957517. MB MARKET MASTERS REAL ESTATE. Two bedrooms currently have french doors installed on middle wall to create retreat/nursery but can easily be converted back. MLS#8226141. JS Properties. Beautiful backyard with patio featuring built-in barbecue, fire-pit and refrigerator, garden area and second covered patio. MLS#6958204. Snyder Realty Team. Head to the nearby light rail station to catch an Avs game or award-wining theater production! MLS#4885853. Keller Williams Realty Urban Elite. Don’t miss out, won’t last long! MLS#3759015. Keller Williams DTC. This is city living at its best! 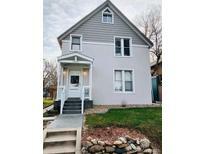 MLS#8736997. Compass - Denver. With this perfect location close to D.U., shopping, Pearl St. restaurants, Golf Courses, Light Rail just steps from your back door, this home has it all! MLS#6826725. Redfin Corporation. Fantastic Contemporary Remodel, Shows like New, Imported High End European Cabinets, Stainless Steel Appliances, Quartz Countertops, High End Imported European Engineered Hardwood Flooring, Lofted ceilings on main level, Main Floor Master Suite w/ Glass Shower & Big Master Bedroom, Large modern window in front allows tons of light in, Exterior entirely redone for excellent curb appeal, Great storage in attic space, Brand New Big Two car Garage with room to add storage, All new patio and concrete walkways, Professional Landscaping w/ New Sod, Nice Sized Yard, New Water Line, New Gas Line, New Drywall, New Paint, New Windows, New Lighting, New Furnace, New Water Heater, New Roof, New siding/stucco, Easy Access to Platte Park, S Pearl Street, Wash Park, & I-25, All Permits pulled, virtual tour here- http://tours.visutour.com/1215-e-iowa-ave/ MLS#2428771. Madison & Company Properties. All other units closed or under contract! MLS#6461984. MODUS Real Estate. Don't miss out, this home won't last long! MLS#6741132. Keller Williams DTC. Don't miss out, it wont last long! MLS#4776678. Keller Williams DTC. Don't miss out, it wont last long! MLS#9391780. Keller Williams DTC. This home is move-in ready & perfect for immediate enjoyment! MLS#3393140. Distinct Real Estate LLC. Currently rents for $1900 per month; renters will be out May 1. Limited showings until tenants vacate. MLS#5537063. Your Castle Real Estate Inc.
Two climate zones, granite counters, new carpeting, large yard, and two car garage with room for a workshop! MLS#5713603. Modern Real Estate Co. The heart of South Pearl Street with the Farmer’s Market and all its popular shops and restaurants is only a few blocks away. MLS#7747494. PERRY & CO. Owner is listing Broker. Nice fenced yard. Detached garage. MLS#6985316. MB MARTIN REALTY. Floating stairs with tiger wood treads, wood floors on upper 2 levels, 3 car garage... dont miss out. MLS#3574929. Re/Max Urban Properties. Custom paint*Custom light fixtures*Wrought Iron staircase bannisters*Plantation shutters *Built in shelves in Rec Room* Gas Fireplace in Family Room and Master Bedroom *Hardwood flooring on main level *Plantation shutters MLS#3311657. The Denver 100 LLC. Property is zoned U-SU-A1, which would allow for the garage to be rebuilt as a carriage house! MLS#9468681. eXp Realty, LLC. Roof and sewer all new since 2012. MLS#4764266. Snyder Realty Team. Units can easily be converted back to one home if so desired. MLS#7783685. Snyder Realty Team. OPEN HOUSE SUNDAY 12-3pm ** NOT YOUR TYPICAL REMODEL ** CHARMING TURN OF THE CENTURY 1-1/2 STORY HOME * * LOTS OF CHARACTER IN THIS BEAUTY * * EXPOSED BRICK & CEILING JOISTS * * HARDWOOD FLOORS * * ORIGINAL BUILT-INS * * SPACIOUS ROOMS * * BEAUTIFUL BRICK PAVER PATIO * * VERY PRIVATE BACKYARD * * GREAT HOME FOR ENTERTAINING INSIDE & OUT * * OVERSIZED 2-CAR GARAGE * * 1/3 MILE TO OLD SOUTH PEARL STREET WITH ALL OF YOUR FAVORITE RESTAURANTS AND SHOPS * * 100 YARDS TO THE LOUISIANA LIGHTRAIL STATION * * 1 BLOCK TO NATURAL GROCERS, 3 TO WHOLE FOODS ** 4 BLOCKS TO PLATTE PARK, 8 BLOCKS TO WASH PARK * * EASY ACCESS TO I-25 * * ALL THIS IN THE HIGHLY SOUGHT AFTER PLATT PARK NEIGHBORHOOD. MLS#5753642. Andrew Glenn Mueller. You'll love stargazing, grilling out and entertaining in the good sized back yard complete with large deck & huge shade tree! MLS#5407781. Your Castle Real Estate Inc.